The future of the International Space Station has been under discussion for some time. The USA has long expressed its intention to continue to keep it in operation until at least 2024. ESA will provide an official response in 2016 but it seems likely that the European Union intends to keep on participating in the project after 2020. The intentions of Canada and Japan are still to be verified. The new Russian space station will be initially assembled by recycling the new modules built for the International Space Station. The expansion plan suffered a huge delay as Russia was initially expected to launch the first of three new modules in 2007. Problems related to the international economic crisis but also to the difficulties of Roscosmos, which in recent years seemed at one point unable to conduct a successful space mission. Russian President Vladimir Putin repeatedly expressed the intention to bring the Russian space program at high levels. National prestige is at stake but also strong economic interests considering the huge amount of money around the construction and launch of satellites. The new Angara rocket carriers also serve that purpose. The launch of the next Russian module for the International Space Station, called Nauka, keeps on being delayed and perhaps will happen in 2017. It’s also known as Multipurpose Laboratory Module (MLM) as it will be used as a scientific laboratory but also for the docking of spacecraft. It will be connected to the Russian module Zvezda. It will replace the current Pirs module, which will be released and plunged into Earth’s atmosphere to disintegrate. 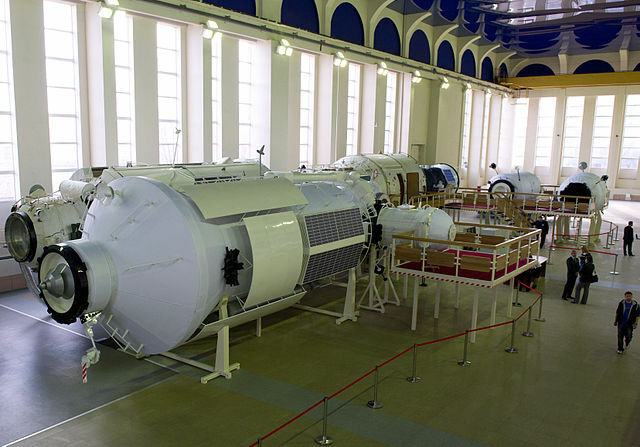 According to the new Russian plan, if in 2024 the module Nauka and the other two new Russians modules will really have been launched and will be part of the International Space Station, they’ll be disengaged to form the initial bulk of the new Russian space station. The new Russian projects are really ambitious. Perhaps President Putin also feels a growing rivalry with China, which is making great progress in its space program and in the coming years is supposed to start assembling its own space station. It also remains to be seen what will remain of international collaborations. The International Space Station is among other things a large scientific laboratory in which various nations join forces to advance our knowledge for all mankind. The risk is that Russia will get isolatet and work on its own, losing precious resources. China has already announced partnerships with other nations in its own space station, let’s hope that Russia will do the same.